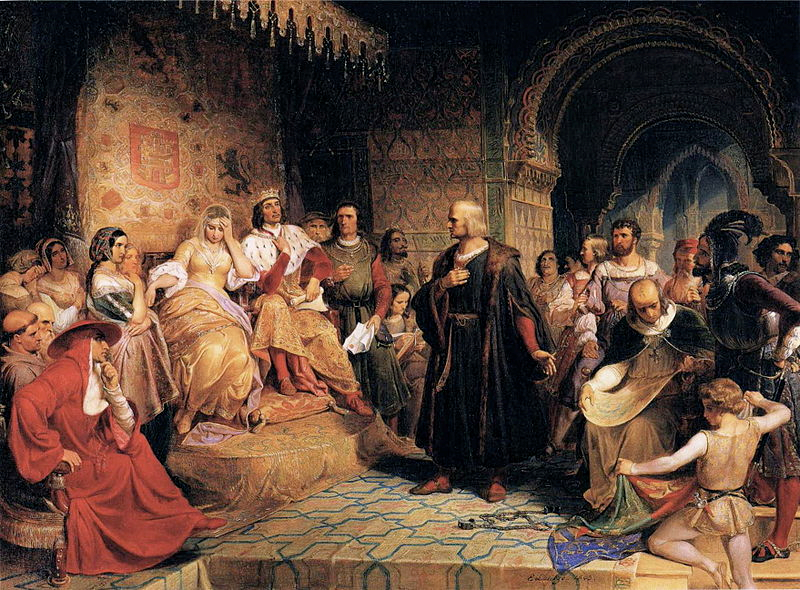 This image depicts Christopher Columbus meeting the Catholic Monarchs in the Alhambra Palace in Granada when he went to ask for funds to set off on his journey to find a new route to the Indies. He didn't find that but founded The Americas instead. Find out what is significant about this historic meeting in The Sacred Symbol.